The lack of international standards that specify test procedures to evaluate the variable frequency drive (VFD) + motor system efficiency allows such tests to be carried out in many different and non contestable ways. Therefore, the results obtained should not influence the acceptance (or not) of the motor, except under mutual accordance between customer and manufacturer. Experience shows the effectiveness of the considerations below. Each case must be properly analyzed, taking into account characteristics of both the motor and the variable frequency drive, such as: operating frequency, switching frequency, speed range, load conditions and motor power, THD, etc. Higher switching frequencies increase the motor efficiency and decrease the variable frequency drive efficiency (due to the increase of commutation losses). High efficiency motors keep their efficiency higher, compared to standard motors, when both are fed by variable frequency drives. The effects of speed variation on the motor efficiency can be understood from the analysis of the behavior of the variable frequency drive fed motor output power as a function of its operation speed. Considering that the motor losses are essentially comprised of Joule losses (PJ) and iron losses (PI) and assuming that the Joule losses prevail, then the motor efficiency fall at low speeds, where the motor output power is reduced and, despite the slight decrease of the iron losses (frequency dependent), the Joule losses (current square dependent) are kept nearly constant for a constant torque load, so that after all there is no significant variation of the overall losses. NEMA MG1 Part 30 – Efficiency will be reduced when a motor is operated on a bus with harmonic content. 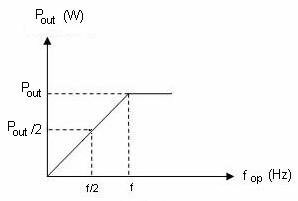 The harmonics present will increase the electrical losses which, in turn, decrease efficiency. This increase in losses will also result in an increase in motor temperature, which further reduces efficiency. NEMA MG1 Part 31 – Performance tests, when required, shall be conducted on a sinusoidal power supply unless otherwise specified by mutual agreement between the manufacturer and the user. NEMA Application Guide for AC variable frequency drive systems – The overall efficiency of a variable frequency drive is based on the total losses of the control, the motor, and any auxiliary equipment. (...) The motor efficiency when operated on a control is slightly less than when operated on sine wave power. Overall system efficiency is often increased when used a variable frequency drive. Traditional methods of changing speed such as gears or belts introduce additional losses which reduce efficiency. IEC 60034-17 – The performance characteristics and operating data for variable frequency drive-fed cage induction motors are influenced by the complete system, comprising supply system, variable frequency drive, induction motor, mechanical shafting and control equipment. Each of these components exists in numerous technical types. Any values quoted in this technical specification are thus indicative only. (...) There is no simple method to calculate the additional losses and no general statement can be made about their value. Their dependence upon the different physical quantities is very complex. 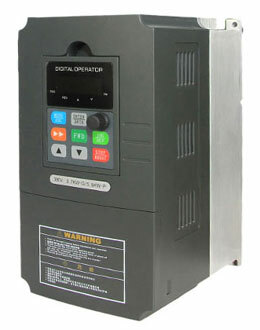 Also there is a great variety both of variable frequency drives and of motors. IEC 60034-25 – The recommended methods to determine the motor efficiency are given in IEC 60034-2 (summationof- losses method for motors > 150 kW and input-output measurement for motors ≤ 150 kW). The no-load losses (including the additional losses) should be measured at the same pulse pattern and pulse frequency that the variable frequency drive will produce at rated load. The determination of the overall efficiency of the system (motor + variable frequency drive) by means of input-output measurement for motors > 150 kW is also applicable under agreement between manufacturer and user. In this case, however, the motor efficiency shall not be determined separately.